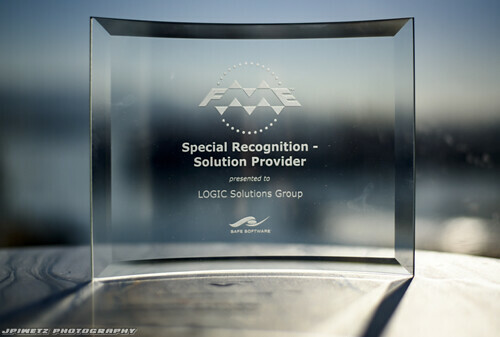 THE LOGIC BLOG: FME Does It Again! 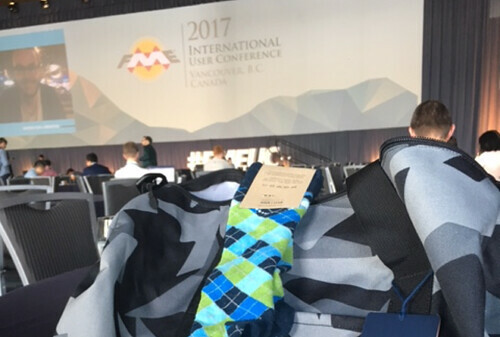 It’s no surprise that FME put on an amazing conference again! 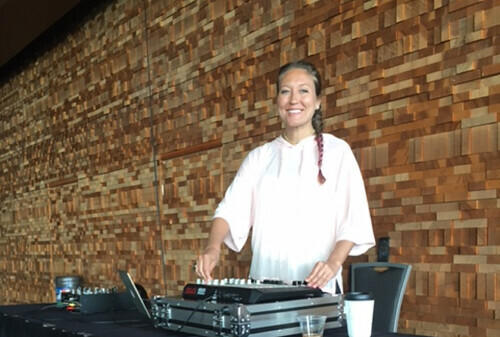 Last week closed out Safe Software’s 2017 FME User Conference in beautiful Vancouver, British Columbia at the Vancouver Convention Centre. The LOGIC team was represented and put together a first-hand tour of the happenings in and around the FME UC this year. The Plenary for the win! Though pre-conference meetings started on Monday, the official conference opened on Wednesday with the morning plenary session. 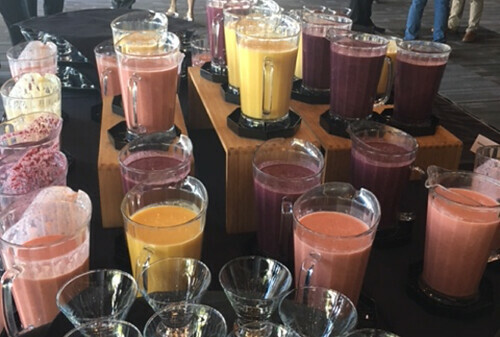 We noted a solid spread of baked goods and fruits, but the smoothie bar took the cake both in form and function. We can appreciate a well-designed system of any kind! The art pieces hanging from the ceiling were a hit and had us waxing philosophically. 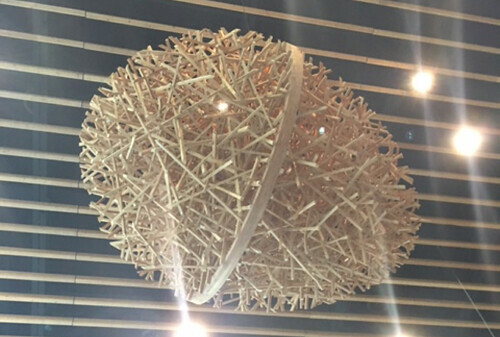 The complex, interconnected structures represent the challenges companies have trying to deal with varied and messy data, while the egg shape represents the promise of rebirth and renewal using FME. What can we say…it was 8:00am and we were all in! After juicing up on coffee and smoothies, folks began filing into the main hall for the plenary session. 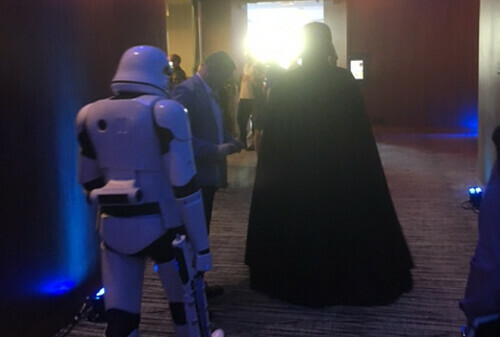 I was drawn by the alluring sounds of electronica from the hall and to my pleasant surprise, a live DJ was wooing the attendees as they arrived. 8:30 am DJ. Almost an oxymoron, but I liked it! As I settled in, I began to examine the schwag bag that was handed out at registration as the FME team is known for great schwag. Wow! Great stuff, tote bag, funky socks, water bottle… actual usable stuff. Another home run, and I haven’t even gotten to the “learning” part yet! During the session kick-off, Dale and Don, kingpins of FME, did a short intro and welcomed us to the event. Their event. Two humble, affable, down-to-earth guys that are clearly having the time of their lives building an empire out of what they love. 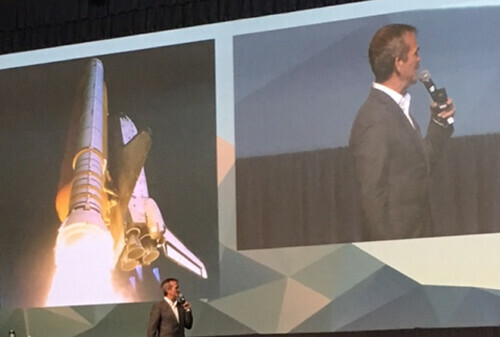 Dale and Don graciously introduced us to Astronaut Chris Austin Hadfield who spent over an hour talking to us about the power of change and how we were all problem solvers, just like his astronaut crews. Chris was truly inspiring - even if re-projecting a data set from NAD 27 to NAD 83 is not quite like doing an emergency spacewalk to patch your ship, but hey! We’ll take it! If you happen to visit Vancouver, a must see is the area surrounding the Convention Centre. 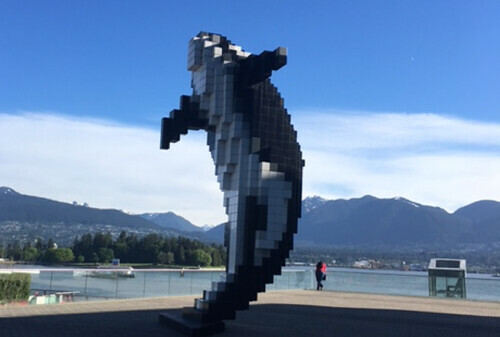 There is a giant Orca that looks like it is about to come to life like in Disney’s Pixels movie and a steady flow of cruise ships picking up or dropping off people from their tour of Alaska. Next time, we might jump aboard and make a little side trip before or after the conference! The FME UC Social – A.K.A. Better than the parties you see on Silicon Valley or other UC’s. These pictures really need no introduction. We soaked it in. 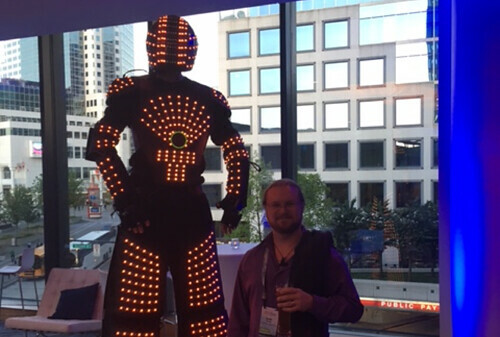 That robot is standing next to the one, the only, our very own - Justin Piwetz. Yes. 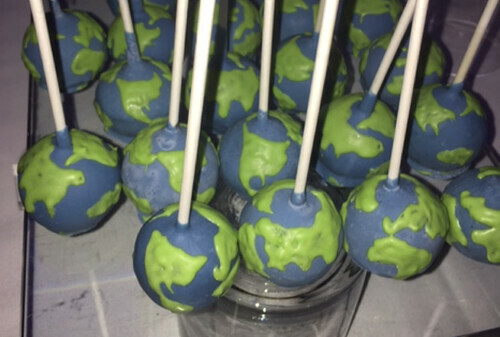 Those are GIS themed cake pops. We came home with some hardware! LOGIC was recognized for our ability to provide valuable business solutions to our clients in the upstream, midstream and pipeline space. Sure, we use technology to solve problems and FME is a go-to in our tool belt, but the end goal is to help our clients run their business better, faster, and cost effectively; not to install cool tech for cool tech’s sake. We appreciate the recognition from Safe Software, it is always nice to get a shout out for following good business practices. In closing, besides learning how other companies are approaching FME and solving complex business issues, Safe Software puts on quite a conference. We’ll be back next time for sure! Please let us know if you would like to discuss how we might use tools like FME to help you solve your business challenges.